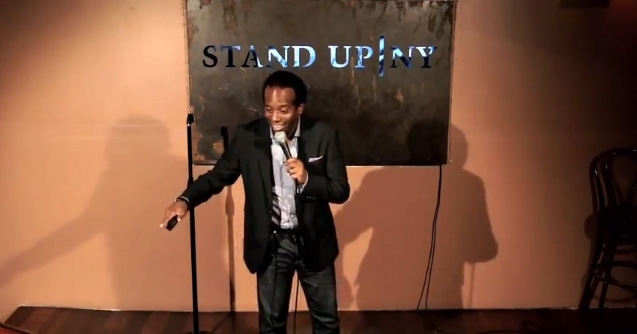 Any entertainer and especially standup comedians know the importance of timing. Their delivery and how well the audience responds depends totally on their timing. Is Texting Funny? We’re not sure. 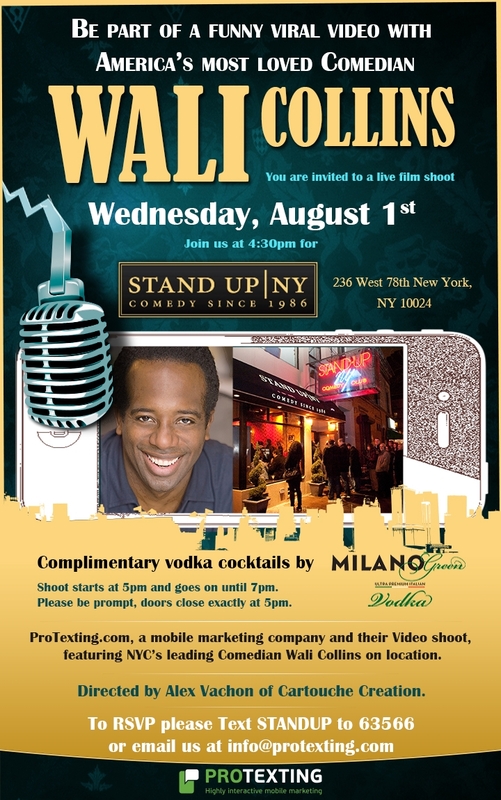 We think texting can be funny, but the only way to find out for sure is tomorrow when we produce our viral video featuring New York City’s top Comedian Wali Collins at StandUpNY this Wednesday, August 1st. 236 West 78th New York, NY 10024 (212-595-0850). The time for the shoot is from 5 to 7pm. Directed by Alex Vachon of Cartouche Creations, this is the first time a video has paired a Standup Comic with text messaging. If you want to be part of the audience then RSVP at our web page You must arrive by 4:30! Doors close at 5pm. 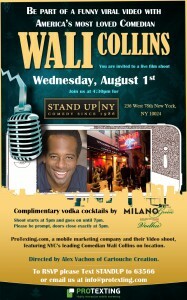 Complimentary cocktails will be provided by Milano Green Vodka. –Kalin J.